The Tell-Tale tim, trái tim hoặc The Pit and the Pendulum? Would bạn like to meet Edgar?? 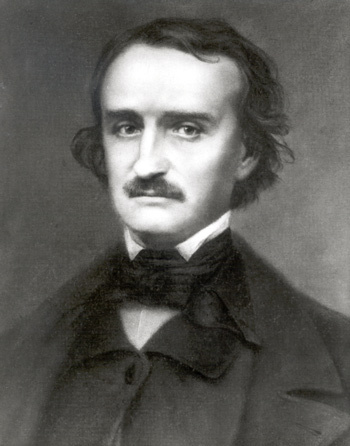 What's bạn fav poem bởi edgar allan poe? Some still believe that reincarnation is a hoax. Even though this phenomenon is not foreign to many it still holds some terror and definitely mystery for those who flee from the idea. But, even in Poe's work he refuses to believe that when one is dead he hoặc she is dead eternally. Being a huge người hâm mộ of E.A. Poe since age 9, I decided to write an authoritative work on the subject and base it entirely on known evidence, that is, evidence that can be verified. I welcome any người hâm mộ of Poe to read the 159 page non-fiction work and answer with their sentiments hoặc critique. Ok so my class saw a video on his life today....saaaaaad. Literally nothing went right for this dude. I mean even tho he wrote some damn good prose because of it, I wouldnt wish that much distress on anybody...ever. Most disturbing was the way in which he died. Nobody will ever know for sure, but the theory that he was used as a repeat voter is quite tragic. Possibly my fav story bởi him is The Masque of the Red Death...if u haven't read it, do do now. It's pretty badass. Anything and everything bạn want hoặc need to know about Poe. This site is awesome. an article đã được thêm vào: Did Poe Reincarnate? What poem is this "Of a water that flows, With a lullaby sound, From a spring but a very few Feet under ground "
If bạn tình yêu the mystery of Poe, check out the Neal chuông, bell thriller Spatter Pattern! Now through July 31 only!